The major South African sports have shown that they have amazing fusion power, reaching across racial barriers and healing old wounds, like no other institution in South Africa has. 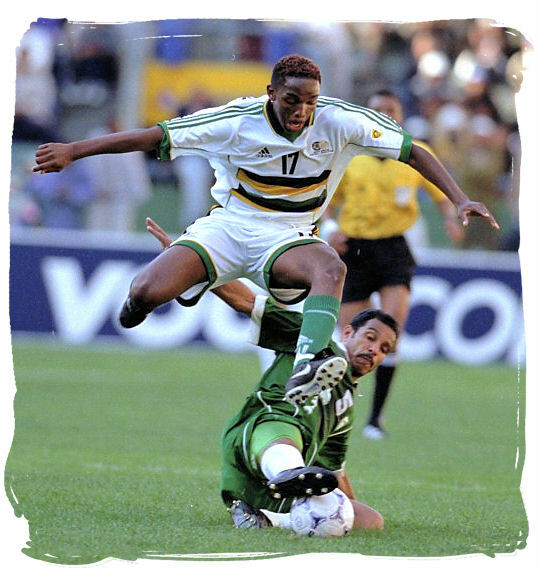 South Africans nation wide are sport crazy and there is nothing to stop their adrenaline going into overdrive when one of the major national teams is up against one of the old foes such as Australia, New Zealand and England. 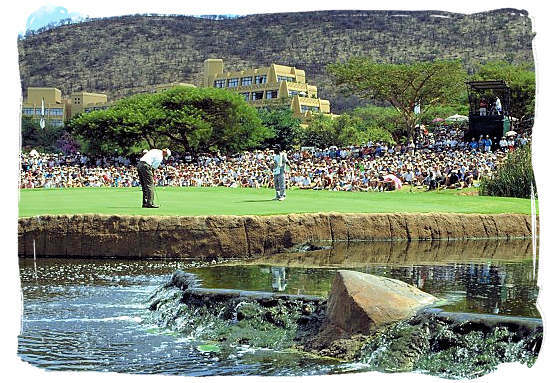 Much has changed in SA sport in the years since the country became a true democracy. For millions it has meant a real chance to participate. New role models have emerged, some stars and teams have risen while others have fallen. There will always be ups and downs, but choosing teams from the entire population and not from a select group, will surely see South Africa becoming one of the world's great sporting nations. The most popular spectator sports in South Africa are Soccer, Rugby and Cricket. Soccer is predominantly played by black people, while Rugby and Cricket are predominantly played by white people. These are the three sports in which South African teams have climbed to the top of the international achievement ladder, often showing the best in the world how it is meant to be done. Who will ever forget the last few hair-raising minutes of the final of the 1995 Rugby World Cup when the South African “Springboks” beat New Zealand’s “All Blacks” 15 - 12 with a dropkick by Joel Stransky in the last minute of extra time? 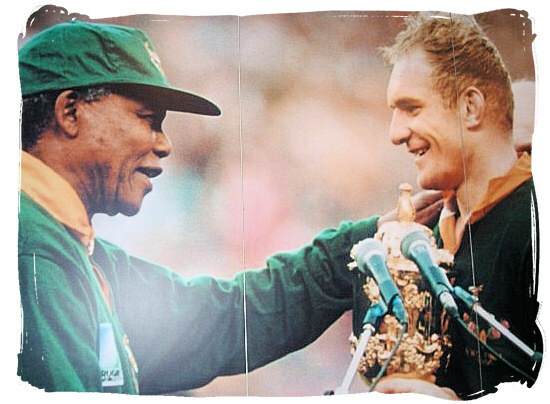 Who will ever forget Nelson Mandela wearing the No 6 shirt of the team's captain, Francois Pienaar, a white South African? When Mandela presented the Cup to Francois and the South African team, the two embraced in joyful celebration, a spontaneous gesture of racial reconciliation which melted hearts around the country. A single moment, and 400 years of colonial strife and bitterness…suddenly seemed to fade. A moment that was listed as one of the 100 Greatest Sporting Moments ever on a British television programme. South Africa is a sports crazy nation and the country is a hotspot when it comes to international sports. There are numerous annual events that attract sportsmen, women and teams from all over the world. 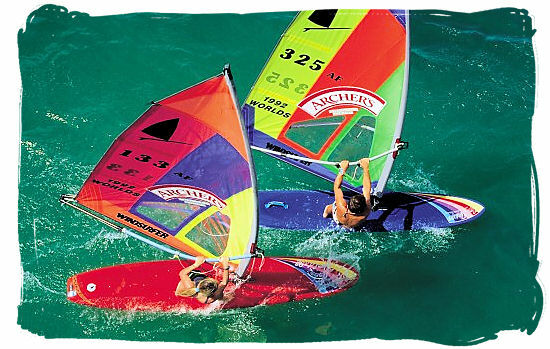 Whether it is Hockey, Cricket, swimming, Rugby, Golf Tennis and Marathon running, or Abseiling, Skydiving, Bungee Jumping, Kayaking and Surfing, Diving and Snorkelling, to name but a few, they all have a devoted following in South Africa. Having ideal conditions for sport is a huge factor in determining how successful an athlete or a team will be. Weather is one of those things. South Africa’s great advantage is its climate. It encourages its people to get outside, to be active, and to participate in some sort of sporting challenge. 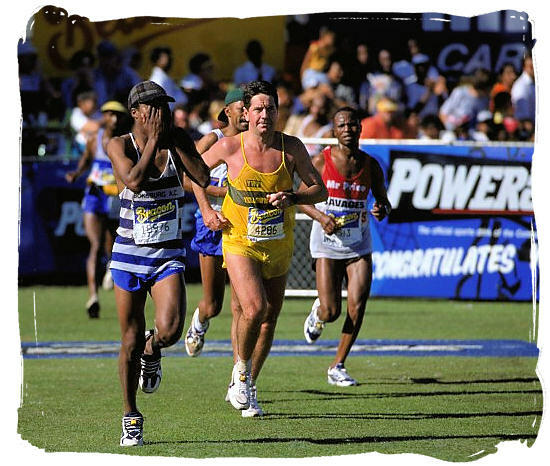 Sport and the South African climate go hand-in-hand. 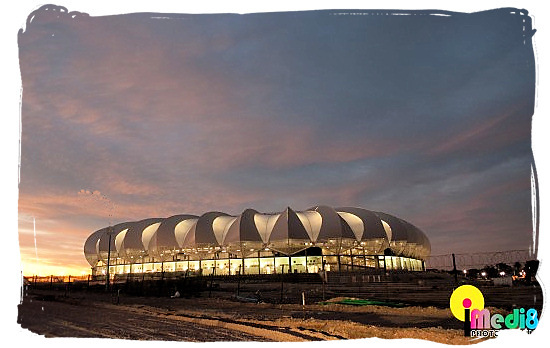 With a total of 60 stadiums, South Africa is home of more then 20 world-class stadiums capable of accommodating tens of thousands of spectators in comfort. 13 of them have a capacity of more then 50,000 spectators. The 2010 Fifa World Cup will add a host of new outstanding stadiums to the existing list. 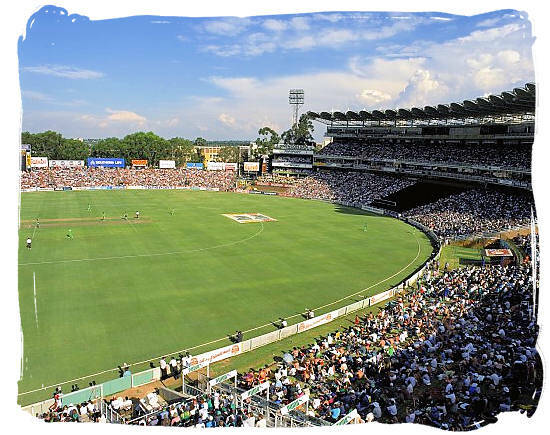 Many stadiums in South Africa are world-renown, such as Newlands in Cape Town, Loftus Versfeld in Pretoria, Ellispark in Johannesburg, Kingspark in Durban, FNB in Johannesburg, to name but a few.